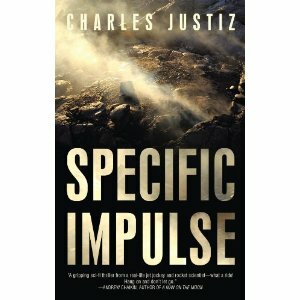 Comic book creator and filmmaker Kevin VanHook has signed to write the screenplay for Specific Impulse, the first book of the science-based trilogy written by retired NASA pilot Charles Justiz. Houston-based Rainmaker Films has plans to develop Specific Impulse into a major motion picture. This will be the six feature film for Rainmaker Films’ partners Grant Guthrie and Fred Kuehnert. Specific Impulse was released in 2010 to worldwide critical acclaim and recently received the prestigious Clarion ForeWord Five Star Review for independent novels. You can order Specific Impulse here. Comments for “Specific Impulse” Lands A Writer are now closed.